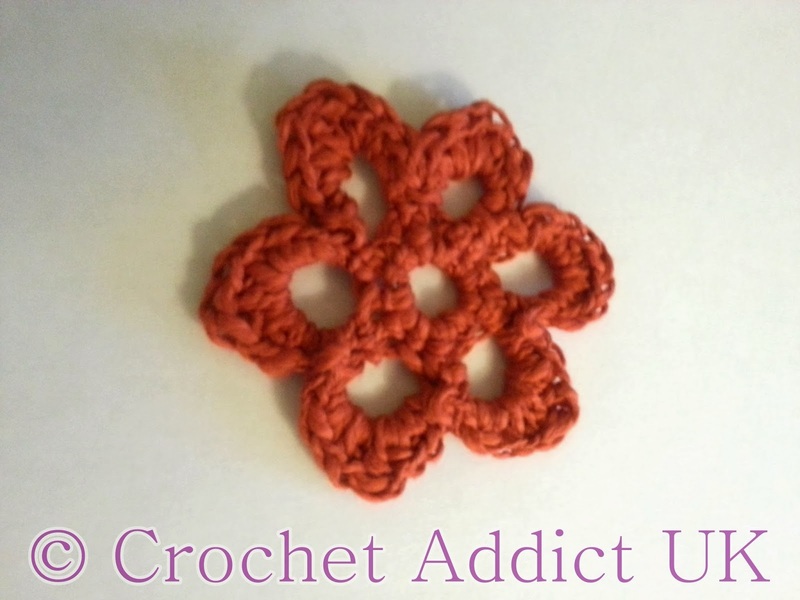 This pattern is for an open daisy button flower. You can use this flower as an accessory to any item. The flower just attaches using a button on your garment. At the end of each round just carry on, do not join with a slip stitch unless otherwise marked. Patterns just for your own personal use. Do not distribute the pattern without permission. You may sell the items you make but please give credit to me for the pattern. oooh! I always forget about doing openwork for flowers! Great reminder and pattern Susan ;)) Thank you!